You probably want to do more, so now you’re wondering — what’s the deal with “green” home building? 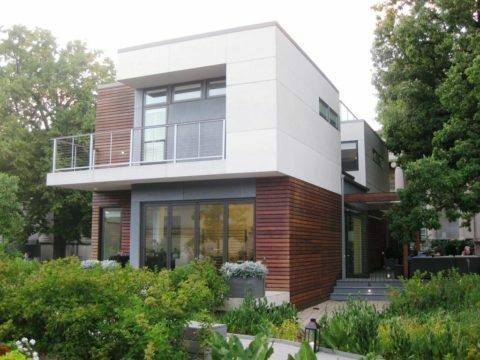 Every year, fueled by concerns over global climate change, the popularity of green homes grows. But what does this phrase really mean? And do green homes really matter? For the past few years green home building was considered a fad or a passing trend — limited to activists and eco-warriors who could actually afford it. These days things have changed, as building techniques and sustainable materials have become more commonplace and affordable. Following are some of the differences between energy-efficient homes and homes that take into consideration their total impact on the environment. What Exactly Are Green Homes? You should probably know that the word “green” means different things to different people and organizations. Within most discussions, a green home is merely a high-performance house that uses less energy and water compared to a traditional home. Under this definition, any house can become a green home with the correct improvements. If your HVAC is 10 years or older, an upgrade can improve efficiency by 40%. Replacing windows & doors and increasing insulation can help close the building envelope to stop your heating & cooling energy from escaping. Adding low-flow faucets , low-flow showerheads , and low-flow toilets can drastically cut your water usage. After you do those things, your house does become more environmentally friendly, but is it a truly green home? A secondary description of green home building identifies how well you’ve limited environmental impact at every level of a house’s lifecycle. Location – where is the home built? Home design – what is the type & size of home? Operational efficiency – is the home energy efficient? Human health – are the homeowners healthy enough to care for the home? Maintenance – how well do the homeowners maintain the home and surrounding property? 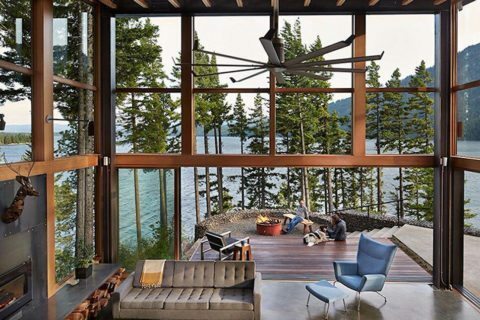 Under this definition, a green home reduces the overall carbon footprint, uses sustainable materials, and mitigates the direct impact on the local ecosystem. It’s difficult to identify when a home is built using all environmentally sustainable products during the building process. The U.S. Environmental Protection Agency (EPA) does an excellent job explaining the process of building a truly green home. But the EPA’s Energy Star certification focuses exclusively on operational efficiency. It doesn’t take into consideration the environmental impact based on the location, overall design, or use of sustainable materials. While a home with the blue ENERGY STAR trademark is better than one without, it’s still not the highest standard. 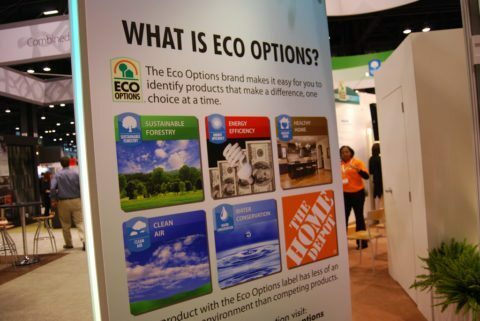 The good news for home buyers is that organizations like the U.S. Green Building Council have stepped in with more substantial rating systems. The council’s Leadership in Energy and Environmental Design (LEED) certification program is the top green home verification system in the world. The LEED rating system not only considers the operation, but also the design and building materials. Best of all, the certification process begins before construction with a design submission, and then it continues with on-site visits. The real value of a green home comes down to overall environmental impact, not just energy efficiency. Conservation and sustainability are as important as operational cost and utility usage. Unfortunately, identifying eco-friendly designs and materials is difficult without a third-party rating system. But you can definitely make your mark in the green homes arena when you build or renovate your existing home using the most environmentally responsible and resource-efficient methods. 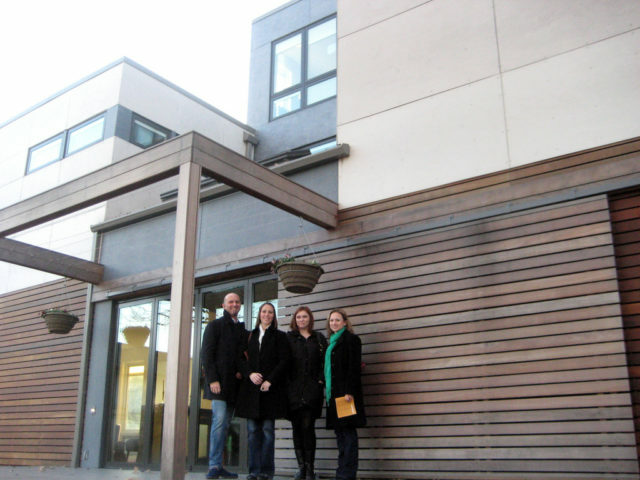 Still Have Questions About Green Homes?